N.T. Wright is part of a movement among scholars that is sometimes called the “New Perspective on Paul.” In this movement you’ll find a wide range of opinion on many things as well as plenty of internal disagreement. But all the scholars connected with this New Perspective see Paul differently than he has been interpreted by Lutheran and Reformed theologians for the past few centuries. And this, as you might imagine, has stirred up the pot. The New Perspective comes, on the one hand, from an effort to understand more accurately the Judaism of Paul’s own day, as well as the passages in Paul’s letters where he sounds quite positive about the Jewish Law (Philippians 3:5-6, for example, where Paul says he was “as to righteousness under the law, blameless.”) On the other hand, advocates of the New Perspective attempt to read Paul in light of his own issues and concerns, rather than in light of historic Protestant issues and concerns. They see Paul as much more interested in the problem of the Jewish and Gentile relationship in the covenant than Martin Luther’s struggle with his own guilt. In the New Perspective, certain key tenets of Protestantism, such as “justification” become revised. “Justification by faith” continues to be a key Pauline and theological concept, but it doesn’t bear the weight that it has within classic Protestant and Reformed theology. Some of the Reformed and evangelical critics of N.T. Wright have blasted him with language usually reserved for the worst of heretics. They see him as undermining, not only Protestantism, but also the core of Christian orthodoxy. In an astounding move, one denomination has threatened its pastors with explusion if they adopt the New Perspective. Other of Wright’s critics are less inflammatory and dogmatic, but they nevertheless express great concern about his New Perspective reading of Paul. I’ve been surprised by some of the arguments used against Wright’s exegesis of Paul. One of the common lines is that Wright has abandoned the Reformation’s view of Paul and justification by faith. Even if this were true, and I think it’s a bit of an exaggeration, I find it curious that Wright’s effort to go back to the Bible rather than endorse Reformation theology receives such scorn from the very people who base everything on going back to the Bible (or at least they used to). Isn’t sola scriptura at the base of the Reformation? Wouldn’t it be contrary to the very spirit of the Reformation to demand that theologians echo Reformation doctrine rather than going back to Scripture itself? It’s certainly true that Wright may have misinterpreted Paul. But we aren’t going to know this by quoting Luther and Calvin, or even by using extra-biblical theological language (like “imputed righteousness”). Rather, the Reformation itself sends us back to the Scripture itself. If N.T. Wright is wrong about Paul, then this needs to be demonstrated by the same kind of exegesis that he has practiced so assiduously. Another common argument against Wright’s view of Paul is that it doesn’t support powerful evangelical preaching. Again, I think this argument substantially misreads Wright, but even if it’s true, does it miss the main point? Those who worry that Wright’s view of Paul might undermine preaching is perilously close to an “end-justifies-the-means” argument, rather than an argument that upholds the truth of Scripture no matter what the implications. Once more, the question that matters above all else is whether Wright’s reading of Scripture is true or not. If, in the end, we must change our preaching, so be it. Yet I’m quite confident that the truth will lead to powerful preaching, whether that truth is ultimately consistent with traditional interpretations of Paul or not. If it sounds like I’m defending Wright’s view of Paul, let me say that my personal jury is still out on the matter. Honestly, I haven’t been able to take the time to work through all of the issues, and, most importantly, all of the texts. But I will say that I find the arguments used by many of Wright’s critics to be way too ad hominem, way too utilitarian, and, ironically, way too Catholic for my taste. I have not yet read one of the latest responses to N.T. 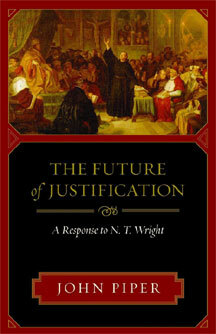 Wright, John Piper’s The Future of Justification: A Response to N.T. Wright. Knowing Piper’s other writings, I expect that this will be a measured criticism of Wright, one that will advance the conversation because it will deal carefully with Scripture. Moreover, Piper did Wright the service of sending an early draft of his book, and Wright did Piper the service of sending back an extensive response. This alone guarantees that Piper’s book will be much better than most critiques of Wright, which usually misinterpret him. Here is my fear, however. John Piper is very influential, especially among the kinds of people who would be troubled by Wright’s take on Paul. I’m afraid that many will buy and read Piper’s book before and even without ever reading Wright himself. Then they’ll quote or paraphrase Piper, without even going back to read Paul once again to see if Piper is actually right. This, I suggest, is neither Reformed, nor evangelical, nor even especially Christian. One who reads Piper should also read Wright himself, and, more importantly, should dive into a fresh examination of Scripture. Even if Wright is wrong, it’s hard to believe that he doesn’t have many valuable insights into the text, including many correctives for those of us who have always read Paul in a certain way. My sincere hope is the Wright will pen a response to Piper (well, keyboard a response, I suppose). Bishop Tom mentioned while at Laity Lodge that he might do this. My greater hope is that the two of them might team up, much in the way Wright and Marcus Borg did on Jesus in their book, The Meaning of Jesus. What could be better than having two articulate teachers and brothers in Christ engage in mutually-respectful dialogue on the meaning of Paul? It’s certainly better than some of the flame throwing that Wright has endured from pugilistic Christians. When I read Piper’s critique and any other, and as I continue to wrestle with Wright’s own view, my main question will be: Who does the best job interpreting Paul? If it turns out that the Reformation misconstrued some of what Paul actually meant, that’s too bad, but so be it. If it turns out that we preachers have to revise what we’ve preached about justification and righteousness on the basis of what the Bible actually says, so be it. Of all people, we who stand in the line of the Reformation should seek, above all and at any cost, to grasp the true meaning of Scripture and to stake our lives and ministries on it. I believe you’ve hit the nail on the head. Sadly this type of posturing about what the “reformed position” is on a particular subject is nothing new to the US reformed scene. It’s been going on at least since Charles Hodge who alleged that Calvin himself had not escaped Romanist pollutions in aspects of his theology that didn’t measure up to Princeton standards. That’s not an isolated case. A quick re-reading of the Second Helvetic Confession makes me wonder whether Heinrich Bullinger would be allowed to join the same “reformed” denominations that criticize Wright and their other “boogey man” du jour, the “Federal Vision”? Bullinger would do all right on justification because he specifically mentions imputation, but his discussion of the efficacy of the sacraments and the visibility of the “covenant” might well make this reformed a heretic these days. At least he’d have company… Augustine and Calvin for example, not to mention Cranmer, Ridley, and Latimer. Isn’t it sad when the reformers who began the reformed churches are found to be heretics by their modern descendants? Perhaps it says more about us than them. Charles: Thanks for this thoughtful comment. The church is plagued by real heretics today, by people who reject the basic tenets of the faith, like the deity of Christ. How sad that some people are so quick to label as heretical those who bravely uphold all of the basics of the faith. We don’t help ourselves at all as the body of Christ when we label and reject people rather than enter into conversation with them that might lead to mutual growth in truthfulness. 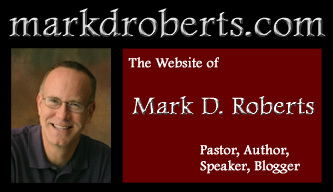 Thanks, Mark, for your insightful comments regarding N. T. Wright and the reformed tradition. One of the major challenges of biblical interpretation is first to understand Scripture in terms of the time and situation in which it was written and not impose our issues on it. My visit to the current exhibition of a few of the Dead Sea Scrolls in San Diego led me to read some of the scrolls and reflect on their content. The DDS show that these ancient writers composed commentaries on Scripture and penned sectarian writings from the viewpoint of their particular social/political perspective. Now we consider most of their views quaint and irrelevant. As I reflected on the DSS, what struck me is that contempory Christian preachers, teachers and writers also often interpret the Bible in terms of our perspective often without first understanding what it meant to its first readers. Paul faced a much different situation than Luther. And our situation and issues are not the same as Luther (or Calvin or even Bonhoeffer). I think we need to be very careful in how we use our Presbyterian Book of Confessions in interpreting Scripture. My reading of the New Testament and history (and living in Israel for a year)lead me to believe that both normative Judaism and Christianity are direct descendents from the Pharisee’s brand of Judaism (not the Judaism of the Saducees or the keepers of the DDS). It is striking to me that Paul said, “I am a Pharisee” not “I was a Pharisee”. What do you think? Thanks for your thoughts, Mark. I have expressed similar concerns about the influence of Piper’s book. I recently raised a few questions regarding his superficial interpretation of 2 Cor 5:21, a cornerstone text for double imputation. The response was mixed…some ad hominem, some theological apriori, and a tad exegetical. Sorry for commenting so late on your piece. Ah yes. And, here’s the revealing part: every student that asks for my opinion on the “new perspective” leans toward (or is from) the reformed tradition. It’s as if we know we’re supposed to be against it. We just don’t know what it is. *If* it is true that Luther came down on the wrong side of Sola Fide…where does that leave us with regard to confidence in Sola Scriptura? Err…that smiley comes across a little more haughty and devilish than I intended. My bad. Say, where’s the edit button? Tom: Not to worry. It was not the devilish smiley.